Sailing is a great outdoor activity for all those who love to soak up some fun and sun as they skim across the waves in style. It is an ideal starter to flag off your hen weekend celebration and is the most perfect outdoor pursuit on a hot summer day. 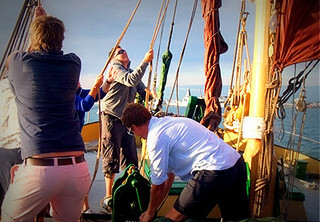 You can even string up a customized itinerary that would ensure a memorable sailing experience for everyone in the gang. Learn to crew or skipper a yacht or just experience the joy of sailing. 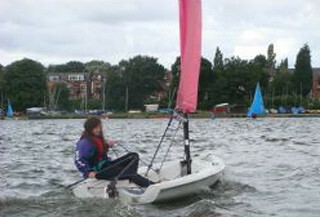 We offer to sail at our selected centres in UK. 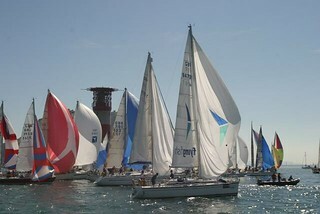 Choose from a sailing weekend, a 1-3 hr sailing course or a 2 day course, or a 4 hr land yachting experience. Here, you find our list of Sailing centres across various locations in UK. We offer beginner's sailing or motor cruising courses and adventure sailing cruises around South Coast and North West of England. A professional Yachtmaster and instructor available to train you for power and sail. Master the skill of sailing. It requires experience in varying wind and sea conditions, as well as knowledge of sailboats and an understanding of one's surroundings. For details, call our group at Gobananas on 08005677101 and book them.